Bank of England monetary policy meeting among top-tier event to keep pound traders busy. It started with the referendum, and now we are now just weeks away to March 29 Brexit deadline. Moreover, we now expect a couple of months will extend the deadlock. 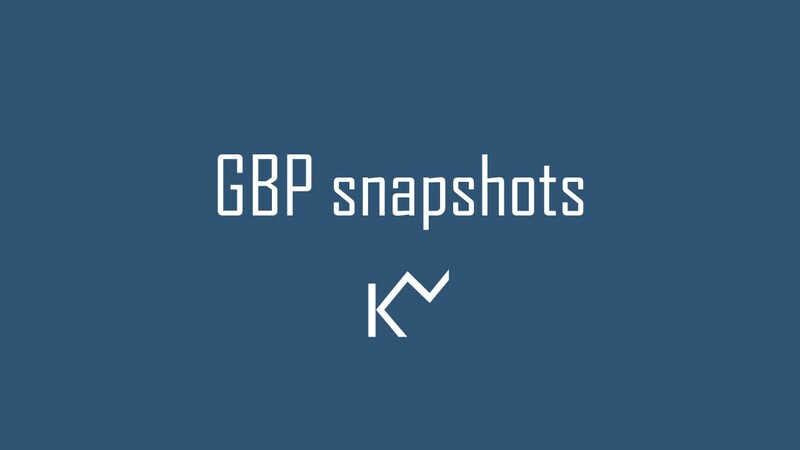 Again, this week Central bank meeting is likely to be the big focus point for the forex traders along with other top-tier macro data points for the UK on top of this latest development of Brexit rules the trend. UK Manufacturing PMI fell to a three-month low of 52.8, down from 54.2 in December and its second-weakest reading since July 2016 (the first survey month following the EU referendum result), according to HIS Markit. As the Brexit uncertainties intensify, we expect the bank to keep rates steady. Ahead of the Brexit deadline, we hope the MPC is in no rush to hike the rates until clouds cleared over Brexit outcome. 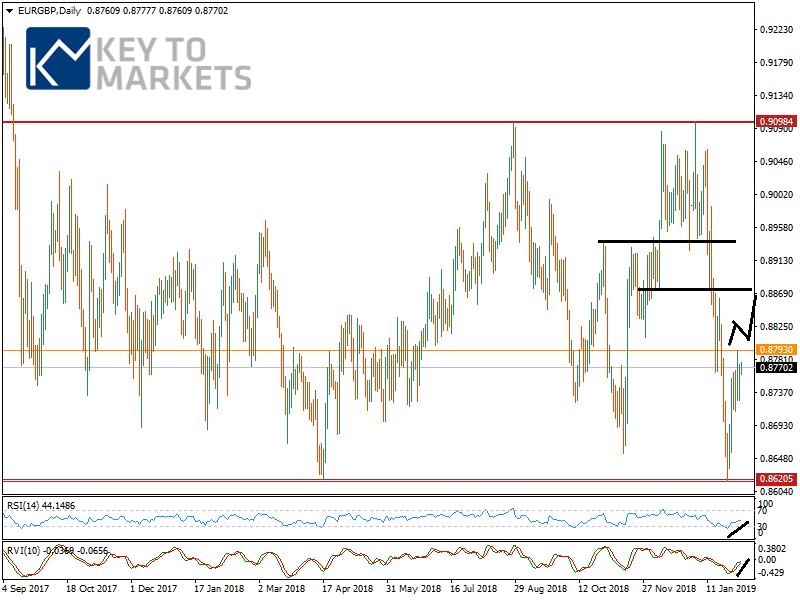 EURGBP rebounds to the second resistance level, since our last week’s forecast. The recent rebound supported by the support zone 0.8650-0.8620. There have been four occurrences including last week’s fall where the price action rebounded. Note that a break below these levels would underpin further bearish momentum, paving the way for a decline to the next support 0.8350 its 200MA (Monthly) and 0.8300 it’s 100MA (Weekly) coincides with the 50.0% fib reaction. Ahead of this week’s BoE meeting, we expect the cross likely to remain between 0.8860 and 0.8700. The near-term trend is supportive, but the price needs to take out the 0.8800 to confirm the pattern once again. The cross has struggled to handle 0.8800 recently prompted a retraced back to support 0.8710. The daily indicators point the cross-heading higher in the near-term, but the cross must settle above 20MA to set the stage for a technical rebound in a bearish trend.